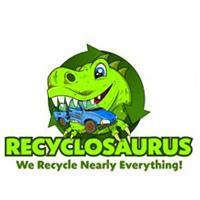 We are Recyclosaurus - we have been operating in London for 8 years now and have built up a reputation for providing an eco-friendly, affordable and friendly clearance service. Having worked on very large jobs including clearance of entire office blocks, to full house and garden waste clearances, we have experience in a wide variety of clearance work, and tailor our services to meet the specific needs of our clients. We are fully insured and licensed to carry out this work and go above and beyond to ensure that we provide the best service we can. We offer a personable approach, leaving customers relaxed and confident that we are able to reliably complete our work, whilst priding ourselves on our eco-friendly values and clear pricing structure. It is this approach which has allowed us to retain the majority of our customer base over the past 8 years - these are standards we intend to continue providing as we grow. Get in touch now for your free, no-obligation quote!